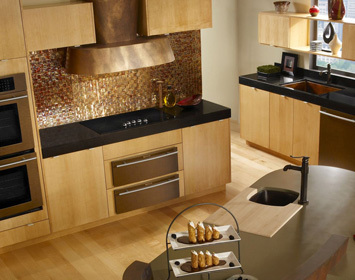 Both aesthetic and functional, specialty metal backsplashes are the perfect complement to your stainless steel, copper, granite and solid surface countertops. Protect your walls from water and cooking splatters while making them an attractive reflection of your decor. Not just for kitchens only…Baths, Dens, & Patios too! Seamless One Piece Design with the exception of any splash length that exceeds 10ft. 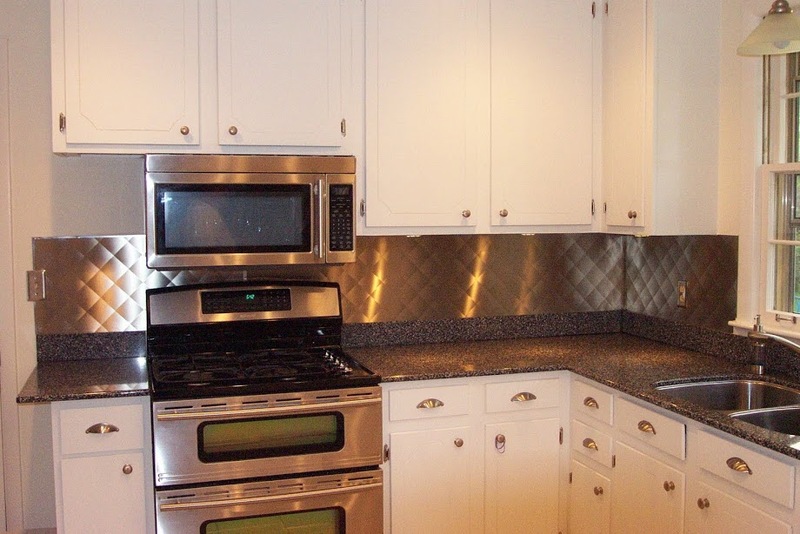 Why Choose Frigo Custom Backsplashes? 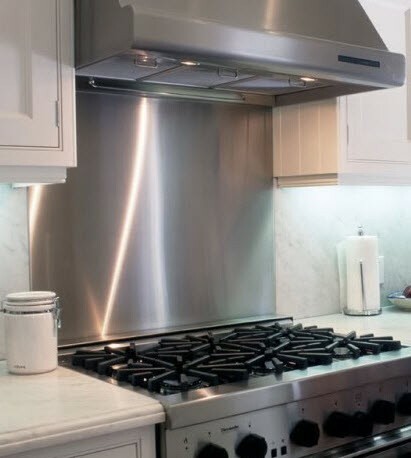 Frigo Custom Backsplashes can be built exactly to your room’s dimensions and are available in Stainless Steel, Copper, or any of our Metallic Finishes. Create your own beautiful look using a combination of patterns, colors and metallic finishes – the possible combinations are too numerous to count! Frigo metal tiles are constructed from durable real metal, are mounted on a non-combustible waterproof backer that can be easily mounted to virtually any surface. Refer to Patterns & Finishes and choose a metal type, pattern, or color that reflects your own unique style. Non-tarnishing Copper Sealer: Retards tarnishing of copper. Copper will keep its brilliance.Cleaning is Easy, Just Warm Water. Custom Cutouts for Electrical Outlets: Precision cut for electrical outlets. Wall Faucet Sets, etc. Electrical Outlet Covers: Stainless, Copper Alloy, or Metallic Finishes. Super Adhesive: Special O.E.M. High Heat Rating makes a strong, permanent application of splash. 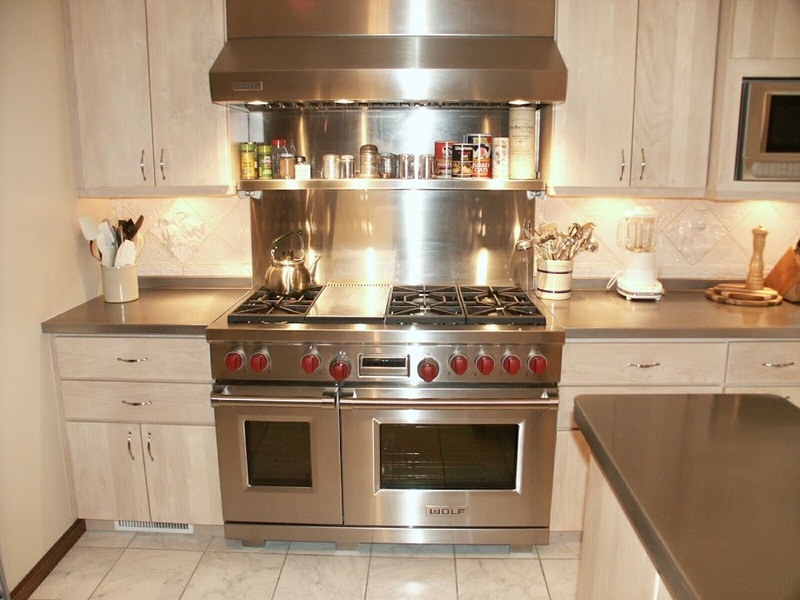 Custom designed and sized to match to standard width cooktops and slide-in ranges. Custom built with genuine metals…Stainless Steel and Real Copper. Available in a wide variety of Embossed Patterns, Metallic or Dual Tone Finishes.